Buying your first home can be a scary and overwhelming process. While all first time buyers can utilize all of the home loan programs – Conventional, FHA, VA, USDA, and Jumbo Loans – there are some programs all first time buyers need to know specially. 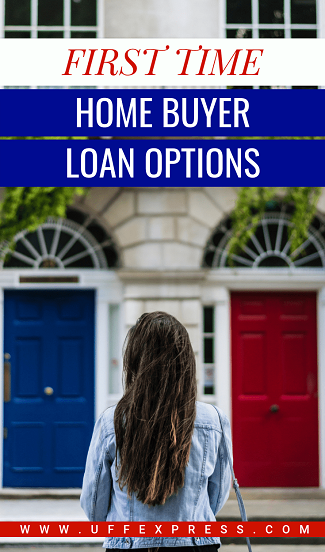 There are two loan programs that are specifically suited to meet the needs of a first time home buyer, as they provide an affordable option in terms of both overall monthly payment and minimum required down payment. As a company our core focus is on first time home buyers. From educating you and guiding you through this process. Once you get done with this article, be sure to check out some of our other educational resources. The first and most popular first-time home buyer option is the FHA or Federal Housing Administration loan. FHA loans are a type of government backed loan, ensured by the Department of Housing and Urban Affairs (HUD). FHA loans are so popular amongst first time home buyers as they are one of the easiest loans to qualify for since they offer some of the most lenient requirements for debt to income ratio or DTI, overall credit score, and minimum required down payment. Reduced minimum required down payment – An FHA loan only requires a down payment of 3.5% of the purchase price. This is significantly lower than the standard conventional minimum down payment of 5% and can make it significantly easier for an individual to get into their new home. Lenient credit score requirements – The minimum required credit score for an FHA loan is 520, this means that an FHA loan can be an excellent option for someone with a lower overall credit score. With that said most lenders have an internal credit limit of 580. At UFF we are able to lend below the 580 mark. However, it is still important to demonstrate the borrower has a strong overall financial profile by showing that the individual has other compensating factors, like a strong down payment, a good job history and reserves, or money left over in the bank after closing. Flexible DTI requirements – FHA loans have some of the most flexible requirements for DTI, the overall DTI ratio for an FHA loan cannot exceed 57%, which is significantly more lenient than the conventional limit of 50%. Lenient general guidelines– In addition to more lenient requirement for overall credit score and DTI FHA loans are also a lot more forgiving for any negative marks on your credit such as bankruptcy or a past foreclosure. Lower interest rates – As FHA loans are government backed loans, they typically offer a lower interest rate for a 30 year fixed mortgage. In addition to that the interest rate is less dependent on overall credit. Conventional loans have many pricing adjustments based on a borrower’s credit score. FHA loans have far fewer and less significant pricing adjustments leading to a significantly better interest for borrowers with poor or moderate credit. Lower mortgage insurance rates – Although FHA loans have both up front and monthly mortgage insurance the fact that the monthly mortgage insurance is fixed at .85% of the loan per year means that in many cases the monthly premium can be significantly lower than a conventional loan. The rate for mortgage insurance on a conventional loan is heavily based on the borrower’s credit score which means that individuals with lower credit scores can have significantly higher payments. County Loan Limits – FHA loans have lower overall loan limits. These loan limits vary by county. In most areas the loan limit is $314,827 however the limit may be higher if you are in a high cost county. Upfront Mortgage Insurance Premium – In addition to the monthly mortgage insurance FHA loans also have a one-time Upfront Mortgage Insurance Premium in the amount of 1.75% of the loan amount. Rather than the full cost being due at closing this can be financed into the loan to be paid off over the life of the loan. This makes the overall principle balance slightly higher. Mortgage Insurance doesn’t drop off- The monthly mortgage insurance on an FHA loan does not typically drop off. The only exception to this rule is if your original down payment is at least 10% of the value, in this case the MI will drop off after 11 years. Student loan payments – Although FHA loans are extremely lenient on DTI and other general requirements, they have a different approach when it comes to student loan debt. HUD does not honor income-based repayment plans in calculating debt to income ratios, instead it is mandated that lenders must count a full 1% of the outstanding balance of the student loan debt as the borrower’s monthly payment. This means that an individual with high student loan debt may not be able to qualify for an FHA loan even if the rest of their financial profile looks strong. The second option for first time home buyers would be the conventional 3% down option. In attempts to make home ownership more attainable, Fannie Mae and Freddy Mac have recently lowered the minimum down payment required from 5% to just 3% down. While this is great news and certainly makes buying a home easier for many individuals this program is not available to everyone. In fact, there are multiple 3% down home loan options. The first and most advertised would be the 3% down option for first time home buyers. This option is available to all first-time home buyers, regardless of income or location. An individual can be classified as a first-time home buyer if they have had no ownership interest in a property for the past 3 years. The second and more popular 3% down loan program would be the Home Ready (Fannie Mae) or Home Possible (Freddy Mac) mortgage. Home Ready and Home Possible loans offer the same 3% down payment, but also offer a reduced interest rate and discounted monthly mortgage insurance. HomeReady and Home Possible loans were designed for borrowers with low to moderate income. In order to obtain a Home Ready or a Home Possible loan you do not have to be a first-time home buyer instead there are specific income restrictions that vary based on property location. If you are considering a conventional 3% down loan option, a HomeReady or Home Possible loan is by far the best option, but as they are not available for people of all income levels the standard conventional 3% down loan program for first-time buyers can be a great alternative. Reduced mortgage insurance coverage – HomeReady and Home Possible loans offer decreased mortgage insurance rates. The coverage percentage required for a Home Ready or Home Possible loan is only 25% which is significantly lower than the 35% coverage for a standard 3% down first-time home buyer loan. You can learn more about PMI in our what is PMI article. Not just for down payment assistance – One of the greatest things about a Home Ready or a Home Possible loan is that they are not just for individuals who are looking for a 3% down payment option. They offer discounted pricing on both interest rates and mortgage insurance, as such they can be a great loan even if you are looking to put more down. Mortgage insurance drops off – Home Ready and Possible loans are a type of conventional loan, and one of the most significant benefits of a conventional loan is that the mortgage insurance will drop off once the loan is paid down to 78% of the original purchase price. This can be huge cost savings and save thousands of dollars over the course of the loan. No Upfront Mortgage Insurance – On a conventional loan there is no UFMIP, which can be a saving a few thousand dollars over the course of the loan. Honors income based repayment for student loans – the Home Ready loan as a conventional loan does honor income-based repayment plans for student loans. This means that individuals with high student loan debt can greatly benefit from this loan program. More credit driven – conventional loans are heavily based on credit score. On a conventional loan an individual’s credit score not only affects the overall interest rate but it also affects the mortgage insurance rate. This means that someone with low to moderate credit, usually anyone who has credit below the 680 mark, can be looking at significantly higher monthly payment. When it comes down to it, the conventional 3% down loan program and the FHA mortgage are both great options with their own pros and cons. FHA loans are the easiest loans to get approved for and provide first time buyers with the most flexibility. On the other hand, if you have excellent credit and strong overall financial profile and conventional 3% down option may be the way to go. When comparing options, it is important to speak with a licensed profession who can go over any questions that you and outline the options that you would have available to you.